Hello friends! Just wanted to give you heads up – I am up on Hero Arts Blog sharing a video using white pigment ink to manipulate the colors of ink on stamped images. 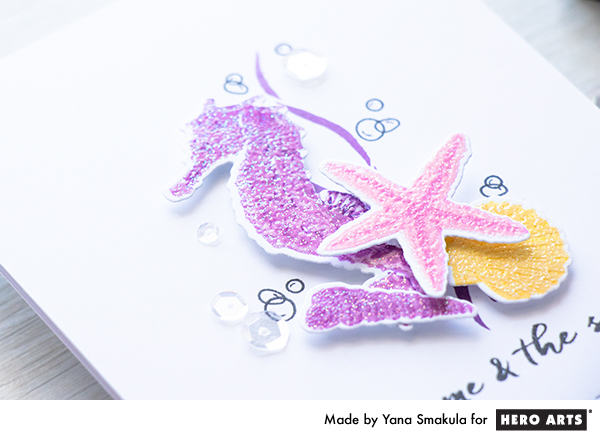 I really love Hero’s Color Layering sets, their underwater images are just the cutest and with the summer being just around the corner – perfect for some late Spring cardmaking. 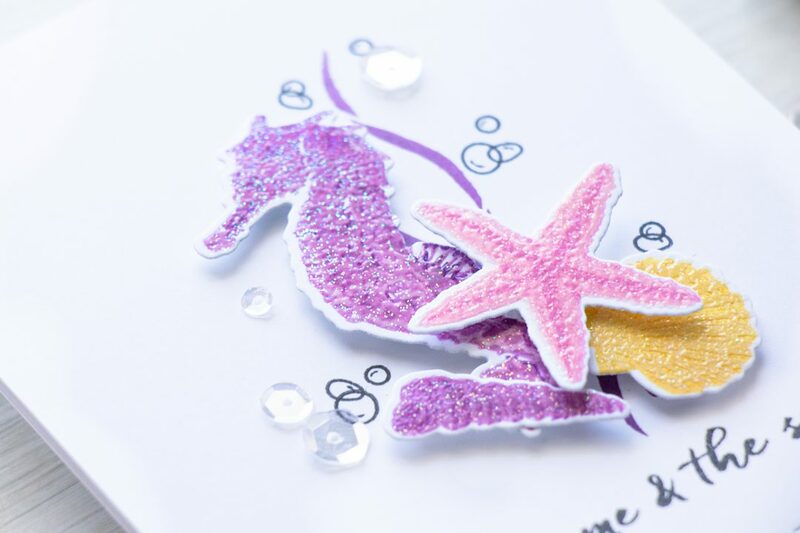 Love your bright sea theme card! These cards are stunning! Love the design and bright colors!